Jay Pharoah is an actor and stand-up comedian. With six seasons as a cast member of NBC's Saturday Night Live, Pharoah is best known for his wide array of uncanny celebrity impressions, including President Barack Obama, Will Smith, Denzel Washington, Stephen A. Smith, Kanye West and Chris Tucker, as well as his recurring character, school principal Daniel Frye. Pharoah’s past filmography includes supporting roles in Get a Job, Top Five, Ride Along, Intramural and Lola Versus. He has voiced various roles in the animated TV series Family Guy, BoJack Horseman, Legends of the Chamberlain Heights, Robot Chicken and the upcoming SuperMansion. In the world of stand-up, he headlines comedy clubs across the country throughout the year. Jess is a Stand-Up Comedian who is best known to television viewers for her appearances on VH1, BET, and more. 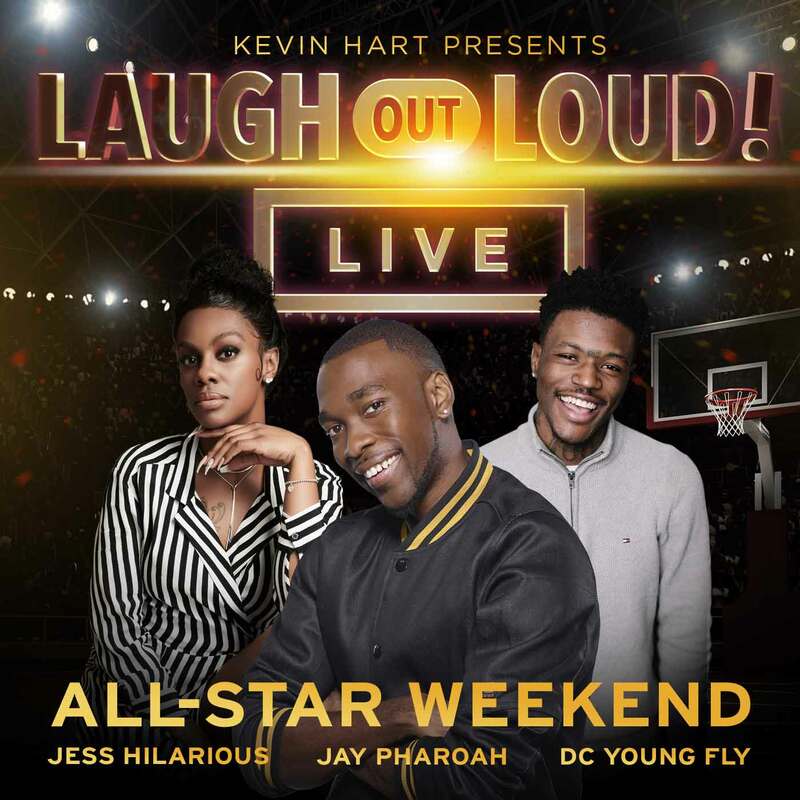 Jess hails from Baltimore, Maryland and first came to popularity through her Instagram comedy skits, which have amassed over four million followers to date. A hard-working mom, she often includes her young son Ashton in videos and her segment "Jess With The Mess" is a social media sensation. Her comedy is smart and to the point. When it comes to the funny, Jess holds nothing back. DC Young Fly’s expansive work in the comedy, acting, and digital spheres have made him a standout as an entertainment multi-hyphenate. A comedian, actor, social media influencer, musician and podcast host, DC has proven that innate comedic ability, abundant creativity, and a passion for generating laughter in others can be translated across multiple mediums. Originally having picked up traction for his hilarious videos on Vine, DC is a hands down fan-favorite amongst today’s generation, currently holding an overall deal with MTV/VH1. He is a veteran cast member of Nick Cannon’s WILD ’N OUT, which is entering production for its 13th season, and has brought the humor to MTV’s TRL (Total Request Live reboot) as one of its main hosts.